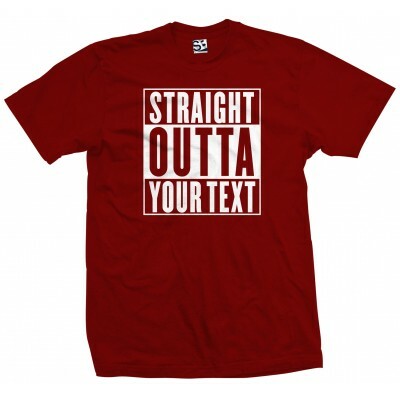 Create your own custom Straight Outta Your Text Personalized Shirt. Add your city, hometown, home school, etc. Please understand if your text is slightly longer or shorter than COMPTON, it will look slightly different. If it's a lot longer or shorter, it will look a lot different.